Here it is! 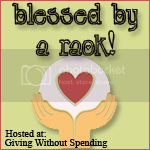 Giving Without Spending's first RAOK Friday for Bloggers! If you'd like to participate, read this to get started. It's simple and easy. The blog I choose for today's RAOK is Tales of the Tightwad. Michelle is a mom of 4 kiddos and is a very sweet gal. Check out her blog to read about her shopping trips, personal challenges and goals, and some great freebie lists too. I know she'll appreciate you stopping by to say "hi!". Their concept is simple: "You Search, We Give". And it really is that easy. When you get to the site, choose the charity or casue you wish to support. Everytime you do a search, they donate money to them. They now have over 76,000 non-profits to choose from. You can also shop through their site and up to 30% of your purchase will go towards your charity of choice. Click here to get started! The Pajama Program is so sweet. They provide new, warm jammies and books to children in need worldwide. If your child received some jammies that will not fit him/her, or a book that is duplicate of one he/she already has, consider sending it to the Pajama Program. These items will put a smile on a child's face. Please note, they only collect pajamas and books that are new. If you would like to donate items to the Pajama Program, email kathleen@pajamaprogram.org. 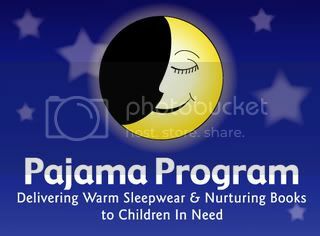 If you'd like to read more about them, check out their site: Pajama Program. I ran across the Birthday Giving Box a couple of years ago on the Ebay Giving Board. It really stuck out because I had some Disney Princess party items leftover from my daughters first birthday. I contacted Janet, the lady in charge, and she emailed the address where I could send them. 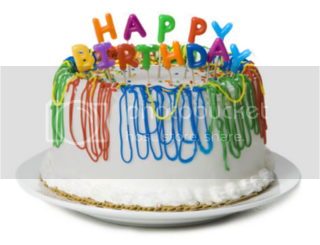 The Birthday Giving Box is intended to provide a little help for those who may need it by supplying party items and/or a small gift (value of a box is usually $15-20). 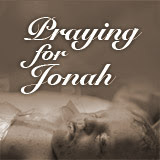 If you have anything to contribute, you can find her email address here. I know she would greatly appreciate it! Also, please make sure items come from a smoke free environment due to allergies and the boxes going to children. 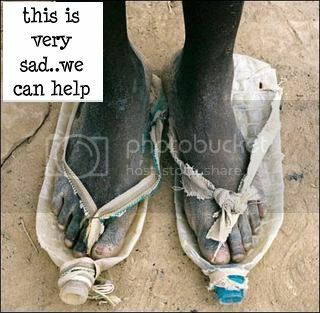 Did you know there are that charities collect new or gently used shoes and distribute them to those in need not only in America, but other countries as well? If you have 1 or 2 pairs (or even more!) in good shape that you know you'll never wear again, check out the sites I'm listing below. They'll appreciate you sending them their way! Announcing: Random Act of Kindness Friday for Bloggers! 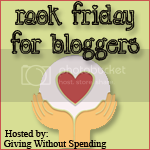 Giving Without Spending is proud to host Random Act of Kindness Fridays for bloggers. RAOK Friday for bloggers is a chance for you to perform a RAOK for another blogger. It's super simple! Each Friday, you choose a blog that you adore and create a post about it on your blog. Include a short description, why you love it, and don't forget the link! ;) Also, I'll ask that you post a link to your RAOK Friday blog post here using the widget I'll have in place. That way, we can check out other bloggers faves. Most bloggers work really hard on their blogs and many go without much notice. This will help drive traffic to their site and get some attention! In addition, since this blog is all about giving, this is an easy way to do so. It feels great to bless others! This will start next Friday. In the meantime, I am going to try and get the word out. My goal is to have at least 3 other bloggers participate for the first RAOK Friday event! I'll be adding buttons to the sidebar for those participating and for the bloggers who are recipients of the RAOK Friday. If you aren't a blood donor, give it a try! I know, I know...you don't like needles but who does? When I go to give blood, I'm not excited about getting a big needle stuck in my arm either. :P Just think of all the potential lives you could be saving. Find out more at https://www.givelife.org/. If you are a photographer who would like to donate your services to an invaluable cause, consider bereavement photography for parents with stillborn or dying babies. Find out more here: Now I Lay Me Down To Sleep.